The latest digital comic from Panel Syndicate is out now! Special “pilot” issue by Jay Faerber and Michael Montenat. 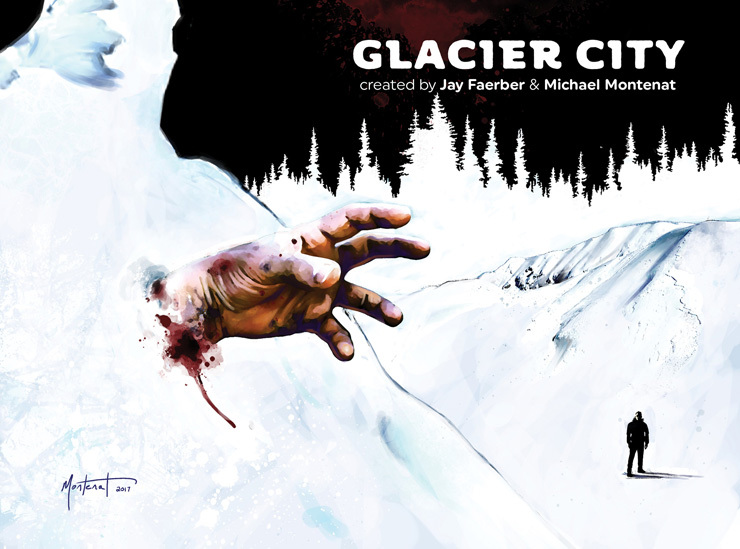 Police Chief Wes Cutter is the only law enforcement in a secluded Alaskan town where everyone has a secret and his closest backup is hours away. There are two kinds of people who live in Alaska. Those born there, and those that are running away from something. And Wes wasn’t born there. Immediate download of 49-page comic in your choice of PDF, CBR or CBZ. No DRM, no encryption, just plain files optimised for on-screen reading. Available in English. Preview: There’s a New Geek in Town in Geek-Girl #1!